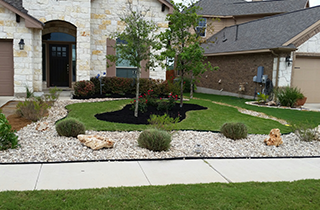 Clayman Outdoors provides the best lawn maintenance, masonry and landscaping services in Georgetown, TX, at the best price around. Let Clayman Outdoors, with 8 years of experience, design and build your custom patio. 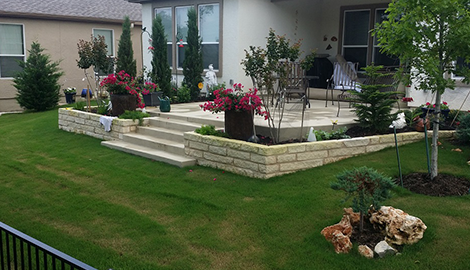 Call Clayman Outdoors today and let’s make your yard the envy of the neighborhood! Turn To Clayman Outdoors When You Want The Very Best! When it comes to curb appeal, nothing gives your home a great first impression like the landscape design in your front and back yards. It can be as simple as a well trimmed and edged lawn. Proper irrigation is a must. 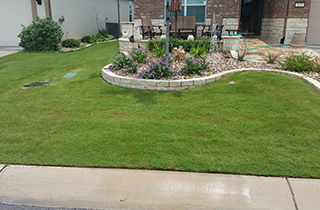 Keeping your grass cut, fertilized and aerated keeps the lawn healthy and green. 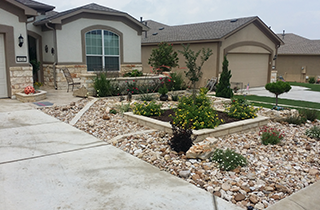 Clayman Outdoors in Georgetown, TX is the best landscaping team to bring out the beauty in your yards. When you drive or walk by a home with a well maintained yard, you may slow down and really look at the features that make it look so good. Is outdoor lighting installed to highlight the special features? Subtle outdoor lights add warmth to the landscape and bring attention to small details. Water features always bring a touch of class to a front or backyard. The sound of water cascading over rocks is soothing. Using an experienced mason to install rock work will result in a beautiful pond or waterfall. Add some koi fish and water plants and you have yourself a little touch of paradise. If your yard is sloped, we do retaining wall installation. Colorful flowers and attractive shrubs can adorn the steps of the wall to add interest. A retaining wall in your yard gives you a larger flat area, which is much easier to mow and irrigate. If you are starting from scratch, the design possibilities are endless. You have the choice to use grass seed or sod, which gives you an instant lawn. 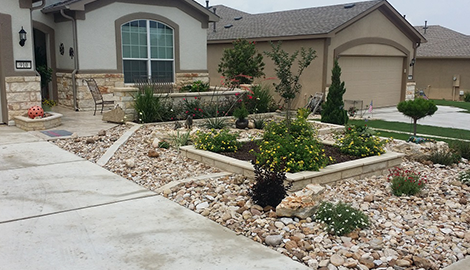 If you live in a dry climate you can use xeriscape landscaping, which allows you to conserve water. 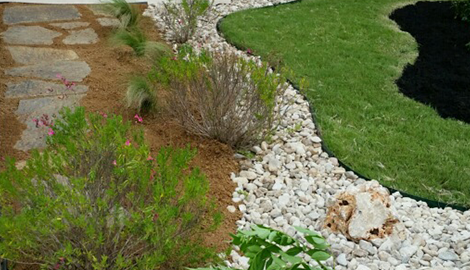 You even have a choice of colors and materials for mulching your planting beds.